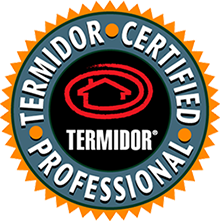 With almost 40 years of experience providing a wide range of pest control services in Fountain Hill, Scottsdale and the East Valley, you can rest assured knowing we are exterminators with experience. Not only that, but we take your situation case by case providing customized removal and control services that work for you and your family. Whether you have a bee colony taking up residence on your front porch, or have a complex internal termite issue, the combination of our tools and experience means the issue will soon be brought under control. Termites can quickly wreak havoc on a home or business, especially those with aged wood framing for the walls. This internal colony can be difficult to locate and eradicate, but our termite control methods are effective at removing the entire colony. Honeybees can be a burden as well as a physical danger, as the Africanized bees can be extremely aggressive towards people and pets. Our team is experienced with bee removal and can assess the situation to devise a plan that will get the entire colony and its hive removed quickly and safely. Living in Arizona, scorpions are probably nothing new, however, they can become an immense nuisance and even a health risk to children and elderly individuals. Our scorpion control methods are perfect for homes in the Cave Creek area and can quickly get these pests eradicated. Rodents are destructive and can carry diseases. If you see one, there are likely many more. Our rodent control methods are effective and work quickly to rid your home or business of these filthy invaders! If you have a pest problem, or would like to discuss our control and removal methods, don’t hesitate to contact us at your convenience. We’ll be happy to schedule you for an appointment or can provide immediate attention as needed for severe infestations and aggressive bee hives.